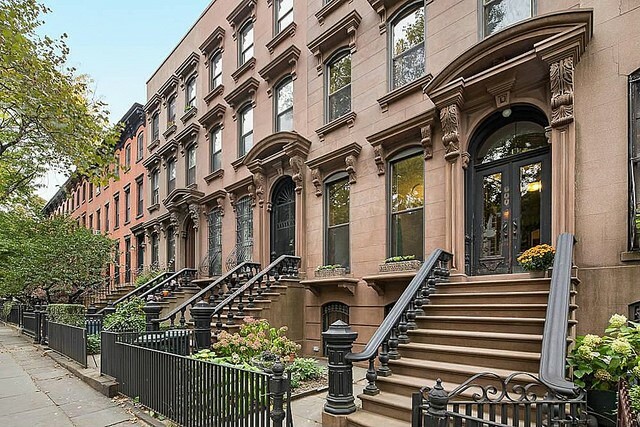 Sophisticated complimentary buyers representation specializing in New York City Townhouses for Sale. Elika specializes in assisting discerning home buyers and investors with the purchase of luxury townhouse properties throughout New York City. 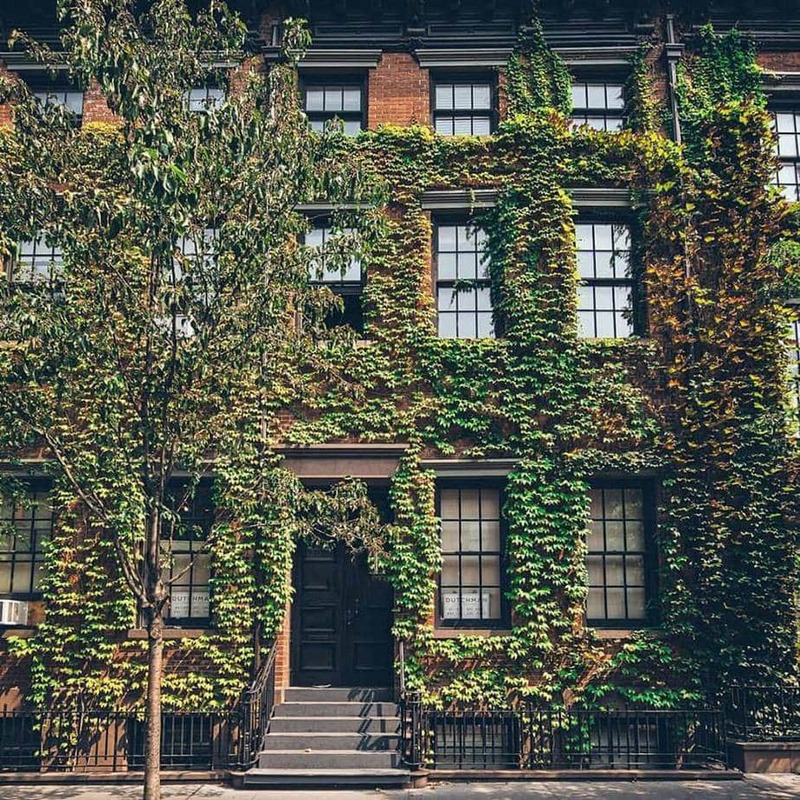 Purchasing a Manhattan or Brooklyn townhouse can be a complex process, but with Elika representing you, it can be done with ease. We focus on representing buyers and providing the kind of unbiased expert assistance that guides clients through the entire process of purchasing a single or multi-family townhouse. Elika is known for its attention to detail coupled with the kind of diligence, integrity and in-depth knowledge of the townhouse market that helps our clients make informed and financially sound decisions. A dedicated buyer’s broker, Elika saves our clients time and money. From financing to negotiations, to contracts, inspections, and closing costs, we handle all of the details. That’s important because no two transactions are alike. In addition to providing tailored services, our goal is to utilize our negotiating strategies to secure the New York City townhouse of your choice at the best price, with the best possible terms, and with the least amount of hassle. Ready to Buy a Townhouses in New York City? Let Elika’s experts search, filter and send you the best available Manhattan or Brooklyn Townhouse properties for sale that match your specific needs: Complete the Custom Search form on the right or Call: 212-590-0545. Services Free for Buyers, Learn More. 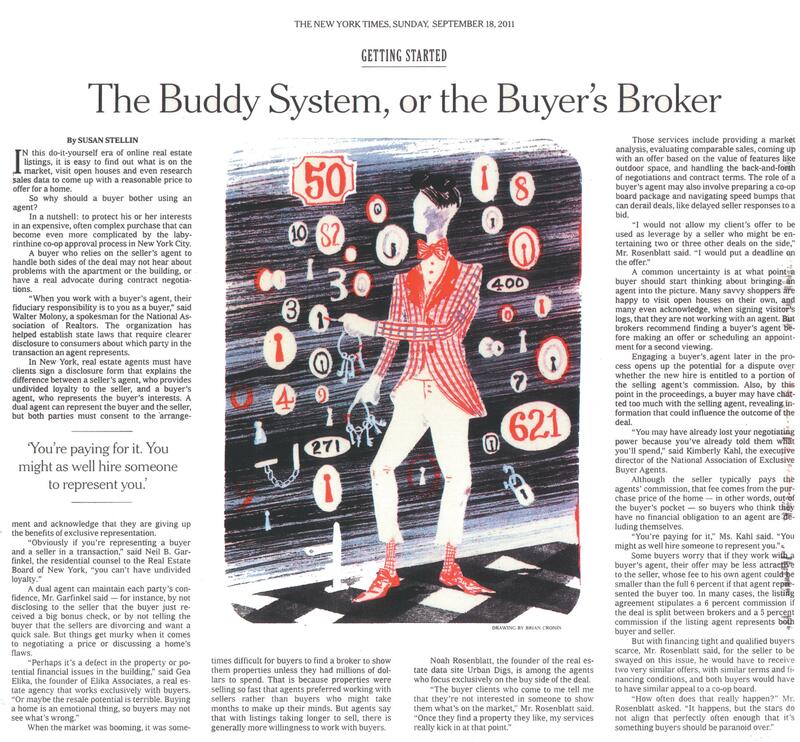 If you are buying a home in NYC, should you hire an agent or broker to represent you? A single-family townhouse is meant to house ‘one’ family. The advantage of a single-family home is that it will be ‘your’ home. The reality (compared to apartments) is that ‘you’ are responsible for everything about this home – including structural repairs and renovations. Single-family townhouses can be an expensive choice. If you can handle the purchase and you value freedom and privacy, a single-family home may be the right choice for you. A multiple-family townhouse comes with a significant up-front cost (more than a single-family home). Since multiple-family townhouses include rental units, they can be a wise investment. Even if a buyer has to borrow the purchase price, these homes can work out to be an affordable choice in the long term. Homeowners will be able to collect rental income from tenants. The collected rent can go towards mortgage payments. Lenders look more favorably on multiple-family home buyers. Often lenders are willing to give larger mortgages to on multi-family townhouses. The lender will even accept a lower household income. They understand that rent will supplement their income. If a home has six or more rental units, homeowners must charge within the guidelines of citywide rent controls. Wise Investment – The buyers must qualify for a loan, but lenders look favorably on townhouses as an investment. Townhouses are an excellent investment overall. The tenant’s rent will be income and banks will extend credit for 75% of the present rental income. Homeowners who buy townhouses as investments will not be disappointed. Their rental income can offset the monthly mortgage payment. Low Mortgage Rates – Mortgage rates for New York City townhouses are as low as for any residential property. Home buyers can get up to 95% financing without Private Mortgage Insurance (PMI). Since interest only products are available for townhouses, home buyers can get affordable mortgages. If a townhouse has more than four units, however, it will be classified as commercial property. Lending guidelines change at that point. Home buyers would have to put down 25%, and the mortgage rates could be higher (approximately .375%). As well, for property evaluation, bank underwriters will emphasize the income more than the buyer’s qualifications. Closing Costs – Closing costs for a Manhattan townhouse will come in at 3-4% of the loan amount. This amount originates mostly from the 1.75% New York State Mortgage Tax – a requirement. People have avoided mortgage tax by having the seller’s bank do a mortgage assignment. That process would, however, require the services of an exceptional lawyer and the agreement of the seller’s bank. IMPORTANT: Different states have different tax procedures for loans, interest, and investments. The Federal government has standard procedures, yet those procedures change. With the ever-changing laws, there is too much room to make an innocent error. It is strongly advised always to consult a tax and investment professional to have all situations handled properly. Below you will find a helpful guide to understanding the tax liabilities associated with New York City houses. For additional information, we advise you seek the assistance of a certified New York state accountant. [accordion title=”What are the yearly taxes for Manhattan townhouses?” content=”The annual taxes for Manhattan townhouses can vary between $5000 and $6000. Every year, the NYC Council sets the tax rate for different classes of property. For 2009-2010, the tax rate was 17.088% for Class 1, 13.241% – Class 2, 12.743% – Class 3, and 10.426% for Class 4. Homeowners can determine their real estate taxes by applying the assigned percentage to their property’s taxable assessed value. The property tax assessment is a specific percentage of the market value. The taxable assessed value is the assessed value minus any exemptions. How does the Department of Finance estimate your property value? The Department of Finance bases property value on three factors – cost, sales comparison, and income capitalization. The department must estimate all property values by January 5 of each year. This constant reevaluation is meant to reflect the ever-evolving New York City real estate market. They use this method for specialty properties including utility properties. They estimate the value of the land and figure out how much it would cost to replace (or reproduce) the existing building on that land. The Department of Finance must check the recent sales of similar properties. Using this method, their officials can determine the ‘probable’ selling price of the property. The value of smaller, residential properties (such as 1-3 family homes) is defined in this manner. This method is used for properties that produce income such as multi-family buildings and office spaces. The value is based on the income possibilities. The department looks into income and expenses as well as the capitalization rate (rate of return for an investor). State law requires that the Department of Finance value condominiums and cooperatives as rental apartment buildings. The value is based on the estimate of income (rent from residents) received by the owners. 2. State law requires that Finance assess property in each class at the assessment ratio. The Department of Finance is required to assess properties in each class at the same percentage of value. The Department of Finance must multiply its estimated market value by the assessment ratio for your property according to its proper class. If the assessment ratio is 9% in Class 1, a $100,000 property will receive an assessment of $9,000. If a $100,000 property fell into Class 2 and the assessment ratio was 45%, the assessment would be $45,000. 3. The Department of Finance must follow specific assessment rules. The Department of Finance is obliged by state law to follow specific assessment rules – unless the change is due to a physical increase (renovation, construction, demolition). Assessments on a property cannot be increased by more than 6 percent each year (or more than 20 percent in five years). Assessments on properties with less than 11 units cannot be increased by more than 8 percent per year (or more than 30 percent in five years). Assessment can change on properties with more than ten units, but the changes must be phased-in over five years. There are no assessment limitations in Class 3. There can be assessment changes, but they must be phased-in over five years. The Department of Finance offers several exemption programs. To encourage construction and renovations, they implemented 421-a-c and J-51. Non-profit organizations receive an exemption (420-a). As well, certain individuals can receive an exemption (disabled, seniors, veterans, and others). Condominiums and cooperatives receive an exemption in the form of tax relief. Their taxable assessed value is reduced, and this initiative reduces their taxes. The exemption reduces the base rate used to calculate their real estate taxes. Abatements are computed in June after the new tax rate is set for the year. Receive a free, short list of Townhouse properties that best match your needs curated by an Elika expert. 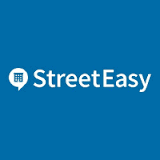 We'd love to help you find your New York City home or investment.